Fra-Ber realizes its creations starting from the analysis of market demands, the goal is to offer cleaning products that can satisfy a wide range of sectors : from the automotive to the nautical one. The first guarantee that Fra-Ber offers to its customers is the extension of the complete production cycle , which takes place completely inside the company and in each of its passages it is characterized by quality, the focal point of each operational phase, as well as being productive , starting from the core of the company: an internal laboratory that collects information directly from the field and immediately re-elaborates it in formulations. In addition to the laboratory, each area of ​​Fra-Ber is characterized by specific equipment necessary for the control of materials both inbound and outbound , from production, to entangling, packaging and carrying out fundamental qualitative tests to release products with high quality characteristics on the market . From this point of view, Fra-Ber tries to constantly improve its advanced production management system, in order to respond to customer requests in ever-increasing proportions. 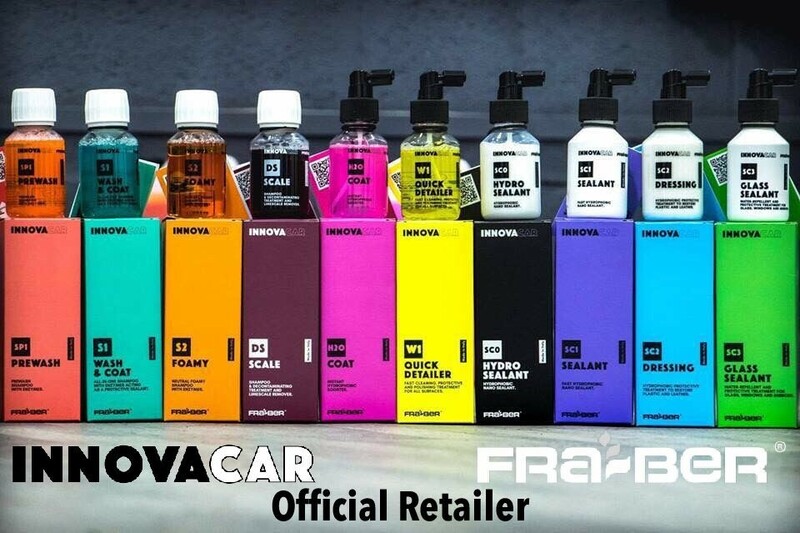 are you intrested to be come a dealer/Retailer of innovacar fra-ber car detailing products in spain? Follow our training to be come a INNOVACAR FRA-BER dealer/retailer in Spain. For nearly 30 years the focus of 3D International has been "Detailing Made Simple". 3D has created products that make our customers detailing experience simple by provinding them with products that multi-task and provide the solution to several detailing problems. are you intrested to be come a dealer of 3d car care products in spain? Follow our training to be come a 3D Car Care products dealer or 3D HD Car care certified detailer in Spain.